Seafair has been a part of Joanne Ludwig’s life for as long as she can remember – not only did her mother work for the chair of the hydro races/yacht club, but she also grew up in a neighborhood full of festival superstars, including a member of the Aqua Follies and a Commodore. In 1994, Ludwig was asked to be the Chair of the Seafair Scholarship Program for Women. She served in this role for almost two decades. My first memories go way, way back! Seafair has ALWAYS been part of my life. I grew up with all aspects of Seafair. My most interesting Seafair moment took place when I was very, very young. My mom and I met my dad at a seafood restaurant (now known as El Gaucho) for a Friday Fish-n-Chips evening dinner. 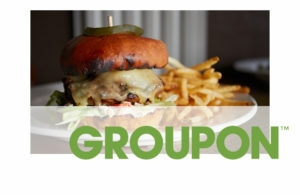 While we were eating, I was overcome by this group of loud and scary individuals who rushed into the establishment! The Seattle Seafair Pirates arrived at our table and wanted to take my mom as prisoner. My dad was held at knife point (with a rubber knife). My parents understood, but as a little girl, I couldn’t comprehend what was taking place. So! I proceeded to try to attack that Seafair Pirate with a fork! Fortunately, my dad intercepted my direct heart implant of a fork. (Can you imagine the press account? “Little girl slays a Pirate!”) The Pirates realized that I was frightened, and so they relented. It was quite the memorable moment. They have more than won over my heart. 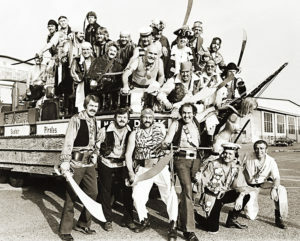 The Seattle Seafair Pirates, during the 1970s. Photo courtesy of Seafair. 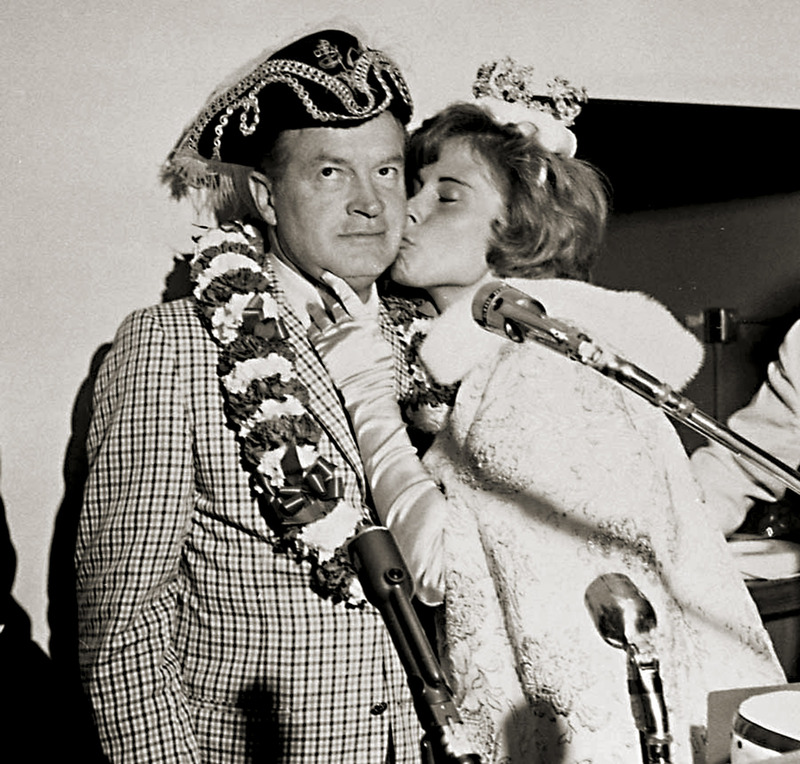 Many celebrities visited Seafair in the early years, including the great comedian Bob Hope. I loved seeing the celebrities during parades and at the hydroplane races. 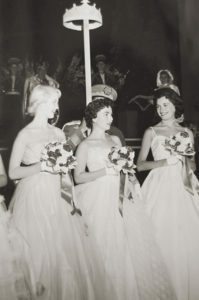 I was a toddler when Beverly Kay Smith was selected as the 1955 Miss Seafair/Seafair Queen during intermission of the Aqua Follies. It left a lasting impression on me. A neon crown rotated around the Aqua Follies stage and after an endless amount of time, it stopped at the eventual winner. Photo courtesy of Seafair. Aqua Theatre) as well as a neighbor who participated in the Miss Seafair/Seafair Queen event. In the mid 1950s, the Seafair Commodores were formed. How fun it was to attend the Aqua Follies each summer and enjoy this special water spectacular! My parents began my Seafair Skipper pin collection. 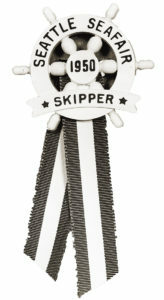 As a child, I remember wearing my Skipper pin everywhere. Today, I enjoy looking at all my 63 pins (and the number grows with each passing year). The shapes may have changed; however, they reflect the joy which the festival has brought to me and my family.